Since October 1, 2017, the first day of federal Fiscal Year 2018 (FY 2018), federal agencies have been funded through a series of Continuing Resolutions (CR), stopgap bills that keep the government running until final appropriations (funding) for the fiscal year levels have been set. Following a brief government shutdown in late January, Congress voted to kick the can down the road until February 8, when once again the government may be faced with a possible shutdown. The federal fiscal year runs from October 1 through September 30. We are currently in federal fiscal year 2018 (FY 2018), which began on October 1, 2017. 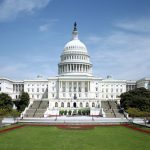 While the House passed all 12 appropriations bills, each of which funds one or several federal agencies, last fall, the Senate did not pass any bills. That brought us to the current position – no final appropriations 4 months into the fiscal year. Appropriations bills can be stuck due to policy issues, such as the current fight over DACA (Deferred Action for Childhood Arrivals), border security, and immigration reform generally. However, in reality, the bigger issue is what the aggregate spending levels will be. The Budget Control Act of 2011 imposed a sequester – automatic spending cuts based on increasingly tight budget caps through FY 2021. Since that law went into effect, Congress has repeatedly passed legislation to waive the budget caps to allow higher funding levels. In other words, Congress has continued to acknowledge that the budget caps they imposed in the 2011 Act are insufficient to fund the functions of the federal government. Before February 8, the expiration of the current CR, Congress must address the budget cap issue. Depending on the results of that discussion, Congress will pass either an omnibus spending bill based on the changed budget caps, or, if the discussion yields no results, yet another short-term CR or one that lasts the remainder of FY 2018. Whichever route they take, this contorted process makes it difficult to impossible for federal agencies to budget for their programs and activities, which trickles down to states and local communities as they try to anticipate what, if any, federal funds they will receive. 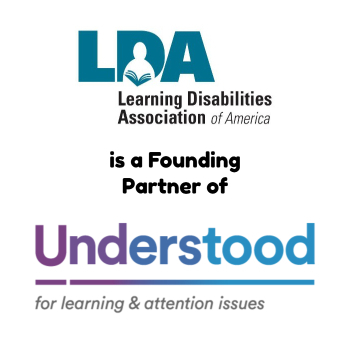 LDA continues to proceed with positive messages, encouraging federal lawmakers to do their jobs and protect the services for and rights of individuals with learning disabilities. Making sound fiscal decisions is the first step in this process. For a more detailed discussion, see LDA Today. A 2016 investigative report in the Houston Chronicle on special education in Texas triggered monitoring by the U.S. Office of Special Education Programs (OSEP) regarding the sharp decline in identification of children with disabilities for services under the Individuals with Disabilities Education Act (IDEA) over the last 13 years. 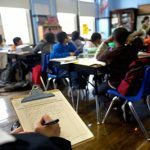 The state had instituted the use of an indicator in its monitoring system, set at 8.5 percent, to measure the percentage of students in special education. OSEP monitoring revealed the 8.5 percent indicator resulted in the decline in the state’s identification rate, and now Texas is developing a corrective action plan to address this serious situation. The “child find” requirement, whereby the state must identify, locate, and evaluate all children with disabilities in need of special education and related services. Making available a free appropriate public education (FAPE) to all eligible children with disabilities, ages 3 – 21. Fulfilling the state’s general supervisory and monitoring responsibilities to ensure local school districts properly implemented the child find and FAPE requirements. TEA has now drafted an initial response to the OSEP monitoring letter, with its proposed corrective action plan. While appreciating the need for an aggressive schedule to reach a final plan, TEA built in sufficient opportunity for stakeholder input from students, families, special and general educators and administrators, advocacy groups, elected officials, and the general public. The public comment period runs through February 18 on the initial draft, with comments accepted through March 31 on the final proposed plan. TEA anticipates submitting the final corrective action plan on or around April 18. Develop and implement a child find process for those children for whom evaluations should have been conducted, ensuring prompt assessment, and determining if any compensatory services are required. Provide guidance to general and special education school district staff to ensure (a) general education supports are not used to delay or deny a right to evaluation, (b) information is available to share with parents of children suspected of having a disability about the various programs and laws under which their children might receive services and when they may request services, and (c) information is disseminated to target audiences, including families and staff. Monitor school districts’ implementation of the IDEA requirements. To see the OSEP monitoring report, you can go to https://www2.ed.gov/fund/data/report/idea/partbdmsrpts/dms-tx-b-2017-enclosure.pdf. The TEA initial draft plan is available at https://tea.texas.gov/TexasSPED/. The Higher Education Act (HEA), the federal law dealing with educator preparation and student financial aid, is long overdue for reauthorization. Recently, on a strict party-line vote, the House Committee on Education and the Workforce passed the Promoting Real Opportunity, Success, and Prosperity through Education Reform Act (PROSPER Act; HR 4508). Special and general education organizations have expressed deep concerns about this first reauthorization effort. HR 4508, sponsored by Chairwoman Virginia Foxx (R-NC), makes some major changes to the HEA. 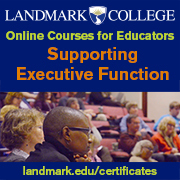 The HEA currently has several programs that provide incentives for students to become teachers, administrators, and specialized instructional support personnel (SISP). Of great concern to LDA is the elimination of Title II of the current law. This section houses the Teacher Quality Partnership (TQP), the only federally funded program directed to reforming and strengthening teacher preparation. TQP focuses on clinical practice and teacher residencies, requiring participants to work in high-need schools for three years after graduation. Most important to LDA is the emphasis on preparing teachers in high-need areas, including special education, critical given the teacher shortages in the field. Coupled with the elimination of TQP is the proposed elimination of the TEACH grants. TEACH is a mandatory-funded program that provides up to $4,000 a year, with a maximum of $16,000, in grants to undergraduates or graduate students pursuing teaching in high-need fields, including special education. In addition, the bill would eliminate the Public Service Loan Forgiveness Program, yet another great incentive to attract future teachers, administrators, and specialized instructional support personnel, as well as providing aid to individuals pursuing graduate degrees. LDA has supported the RISE Act, which would ease the way for students with learning disabilities to receive appropriate support services in higher education. RISE would require colleges to accept a student’s prior IEP or 504 plan for purposes of establishing a disability without additional evaluation data. Unfortunately, this bipartisan bill was not included in HR 4508. Access to Pell Grants may also be limited, as recipients must meet certain course load requirements that may be onerous for some students with learning disabilities who require additional time to complete their studies. 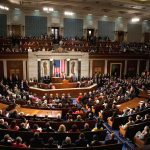 The PROSPER Act has not been brought to the full House for a vote, and it is unclear when or if there will be floor time to consider the bill. The Senate staff is working behind the scenes on HEA, but, given the numbers in the Senate, passing a bill will require bipartisan efforts. While completing HEA seems highly unlikely this year, LDA continues to work with its partners to ensure the best bill possible for students with learning disabilities. LDA was one of 200 national organizations expressing concern to the Acting Assistant U.S. Attorney General for Civil Rights about the recent rescission of a number of guidance and technical assistance documents related to the Americans with Disabilities Act (ADA). Most recently, the Department of Justice rescinded 2016 guidance on states’ obligations to administer employment services for individuals with disabilities in the most integrated setting appropriate. Removal of the guidance does not change policy, but LDA believes this sets a bad precedent going forward. The guidance rescinded is entitled, “Statement on Application of the Integration Mandate of Title II of the Americans with Disabilities Act and Olmstead v. L.C. to State and local Governments’ Employment Service Systems for Individuals with Disabilities.” The Statement reflected already established law in an area of deep concern for LDA –employment of individuals with disabilities. The organization has been a strong supporter of employment services that help people with learning disabilities achieve and maintain competitive, integrated employment. The Department of Justice (DOJ) responded that the withdrawal of the guidance “does not change the legal responsibilities of State and local governments under title II of the ADA, as reflected in the ADA, its implementing regulations, and other binding legal requirements and judicial precedent, including the U.S. Supreme Court’s Olmstead decision.” However, LDA and its partner organizations are concerned the rescission sends the wrong message to public entities and employment service providers about their responsibilities to comply with the ADA’s integration mandate with respect to employment services. This action also has advocates worried about possible decreased attention by DOJ in appropriately enforcing the ADA as related to integrated employment and what this might indicate for enforcement generally. Nine other technical assistance documents related to the ADA were also rescinded and removed from the DOJ website, with little explanation or transparency. These documents are critical to helping stakeholders understand the law and ensuring proper implementation. 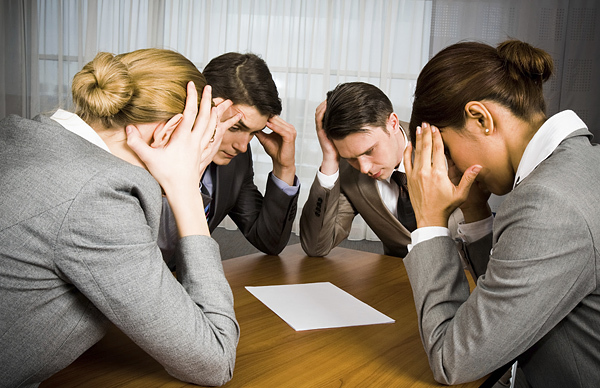 Advocates have expressed concern also to other departments, including the U.S. Department of Education, about the withdrawal of guidance and technical assistance documents with no advanced notice or process for public input. LDA’s participation in large national coalitions, including the Consortium for Citizens with Disabilities, gives the organization a stronger voice to address these issues. 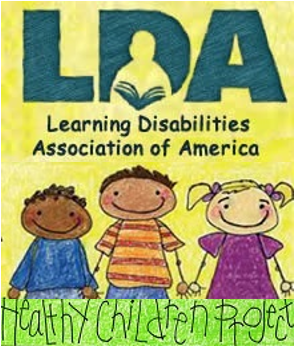 LDA will continue to monitor and give input to federal agencies to ensure federal laws are properly implemented and maintain rights of individuals with learning disabilities.